Say hello to my new favourite hobby - hula hooping! 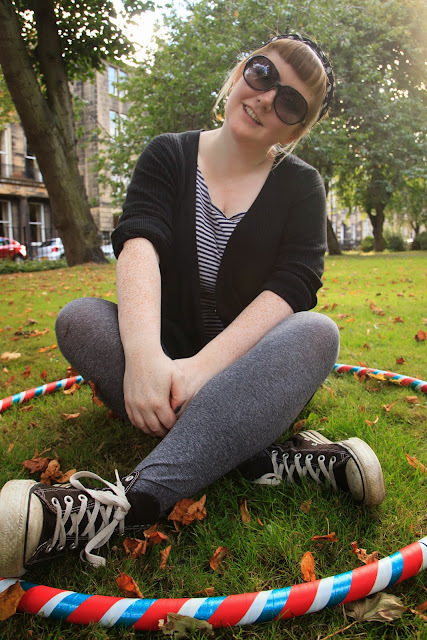 I was always RUBBISH at hula hooping as a kid (along with whistling, cartwheels and headstands... what kind of childhood did I have?!) but it recently came back into my life when I met my pal Joshua, who is some sort of hooping master! (Seriously, he goes to hoop camp and everything). Anyway, before I knew it, I was hooked & had to make one of my own. Here's how you do it. 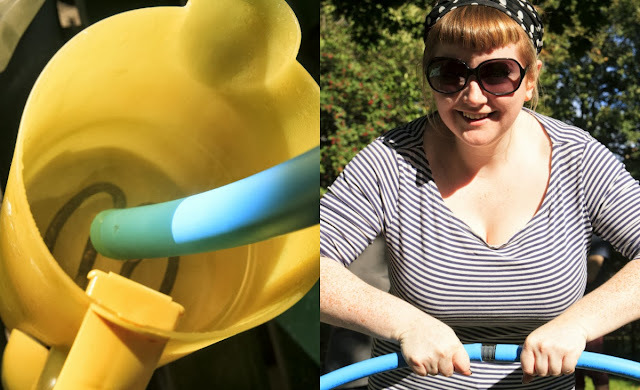 It's pretty easy to get the bits and pieces you need to make a hoop, but things like the pipe seem to only come in longish stretches, which means it might be worth teaming up with a pal or two to split costs! That or make yourself a hoop for every day of the week. Start by measuring the size of your hoop. 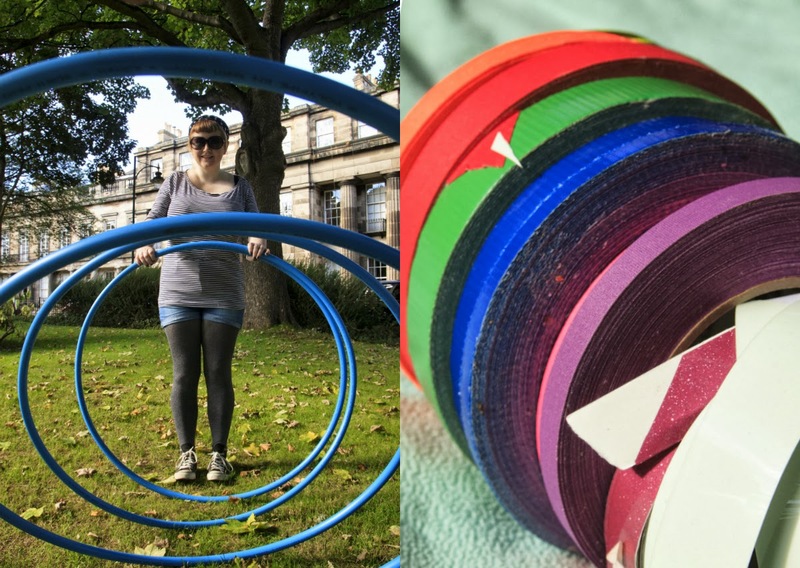 It should go up to your navel - mine is slightly bigger because I'm a beginner, and a bigger hoop spins more slowly, and is therefore easier to learn with! Cut it with pipe cutters (and be careful when using scary scissors!) and make sure the ends are neat. Now you need to heat the ends of the pipe so they are soft enough that the pipe connector will fit in. We soaked it in very hot water for a few minutes, but you can also hold straightners over the end if you can't be bothered to boil the kettle! Shove the connector in, and make sure the hoop is firmly connected. If it's hard to join it together either heat it for a little longer, or wiggle the hoop up and down until it slides in. Give yourself a pat on the back for making a hoop! 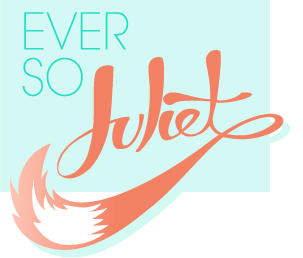 Now the really fun bit - making it pretty! 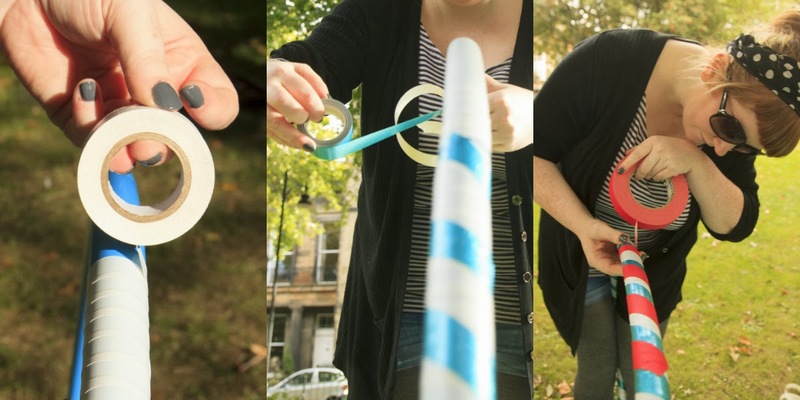 Tape is good because it adds a bit of weight to the hoop (which slows it down, and makes it a little easier to use), adds grip, and looks lovely. I used white electrical tape to cover the entire hoop, blue glitter tape for a bit of sparkle, and red gaffer tape that has a bit of texture. Try to be very patient when wrapping your hoop - you want to keep the tape nice and flat, and evenly spaced out if you are making it stripy. It turns out it takes a surprising amount of concentration (and at one point, two pairs of hands) but it's so satisfying when it's done! Look at my lovely hoop! I've been practising almost every night and I am definitely getting better (when I first started I could barely keep it going round my waist). I'm mainly doing it because it's SO much fun (surprisingly so) and I want to learn loads of tricks, but it's also meant to be great exercise as it really works your core. 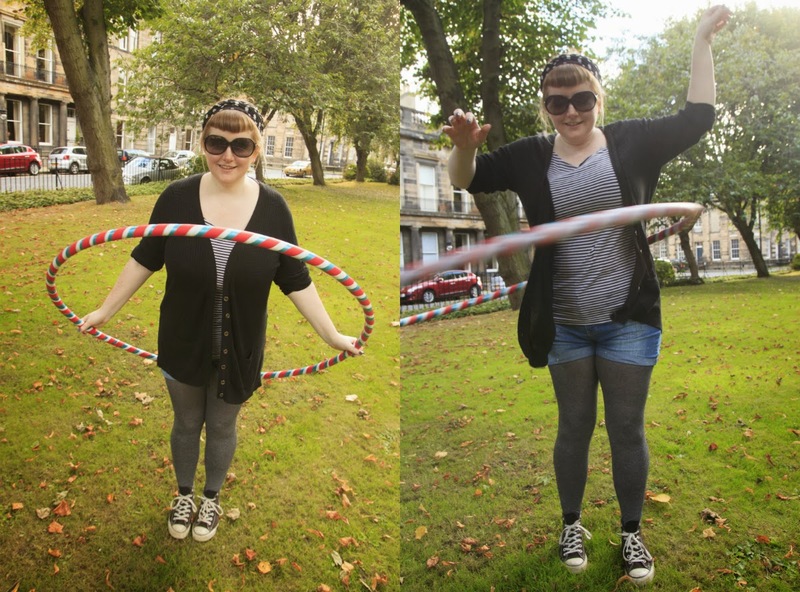 I've gotten into hula hooping this year too. I ended up buying my first hoop but I've been thinking I might try to make my own one day. Oh man hooping is so much fun. The tricks are the best. Wow, I'm hopeless at keeping the hoop going but I'd never have thought of making my own. The best tip I got was to focus on moving backwards and forwards (rather than side to side, or in a circle). If you put one foot in front of the other and rock then it starts to make sense! Hello Dear, first of all you're looking amazingly beautiful on those pictures!! I really like the way you instructed how to make a hula hoop. It's like easy process and will try out.